Portrait Displays has announced a new, more affordable version of its CalMAN software that “strips away the complexity and presents just what is needed to conduct a color calibration”. Each version will support TVs from a specific manufacturer. The CalMAN software, which can be used to calibrate displays for more accurate colors, is currently available as solutions ranging from ‘Ultimate’ ($2995) to ‘Home Enthusiast’ ($399). A new, more affordable ‘CalMAN Home’ version will soon be made available, the company has announced. - “CalMAN Home calibration solutions strip away the complexity and presents just what is needed to conduct a color calibration,” said Jason Ramirez, CalMAN Senior Product Manager at Portrait Displays. 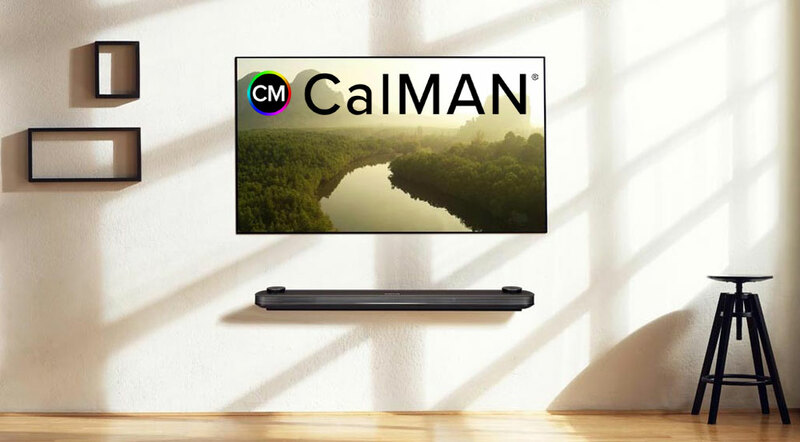 The company explains that “each version of CalMAN Home supports TVs from a specific manufacturer” at a more affordable price. The Home version will also support AutoCal (auto calibration). Display calibration usually requires three components; a colorimeter to measure the screen; a pattern generator to generate the video patterns; and software such as CalMAN. At CES 2019, LG and Panasonic announced that some 2019 models will have a built-in pattern generator so users no longer need external pattern generator hardware. - “With a built-in pattern generator, consumers no longer need to purchase an external device to create video test patterns. These technological advancements by LG and Panasonic paired with CalMAN Home offer an extremely low-cost solution for color calibration,” the company explained. Portrait Displays says that CalMAN Home will be released soon. More information including pricing details will be provided closer to launch.